Hardcover, 9.75 x 11.5 in. / 368 pgs / 345 color. Edited and with text by Tomàs Llorens, Didier Ottinger. 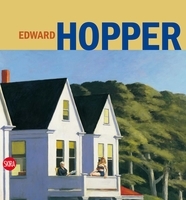 Edward Hopper is as quintessentially American as Jackson Pollock or Andy Warhol. Like them, his imagery has reached far beyond the realm of art to impact on our culture in the broadest terms, so that we see early twentieth-century America through his work, as much as within it. 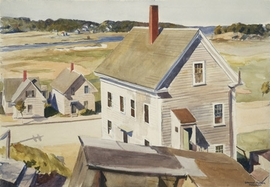 The painter Charles Burchfield attributed Hopper’s success to his “bold individualism,” declaring that “in him we have regained that sturdy American independence which Thomas Eakins gave us.” Hopper’s art was profoundly of its time, both in its expression of the subtle melancholies of modern life and in its deeply cinematic qualities--perhaps Hopper’s greatest gift was his treatment of light--to which directors from Alfred Hitchcock to Wim Wenders have paid homage. 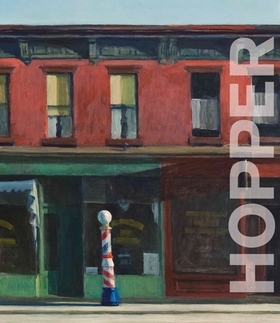 This volume presents a definitive Hopper monograph. Published for a massive retrospective at the Museo Thyssen-Bornemisza in Madrid, and the Grand Palais in Paris, it approaches Hopper’s relatively small oeuvre in two sections. The first covers the artist’s formative years from approximately 1900 to 1924, examining a selection of sketches, paintings, drawings, illustrations, prints and watercolors, which are considered alongside works by painters that influenced Hopper, such as Winslow Homer, Robert Henri, John Sloan, Edgar Degas and Walter Sickert. The second section considers the years from 1925 onwards, addressing his mature output through chronological but thematic groupings. 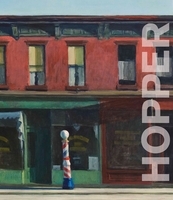 Comprehensive in its scope, with a wealth of color reproductions, Hopper is the last word on the artist. 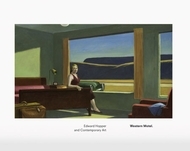 Featured image is reproduced from Hopper. Ottinger considers sketches, paintings, drawings, illustrations, prints, and watercolors; all are superbly reproduced. 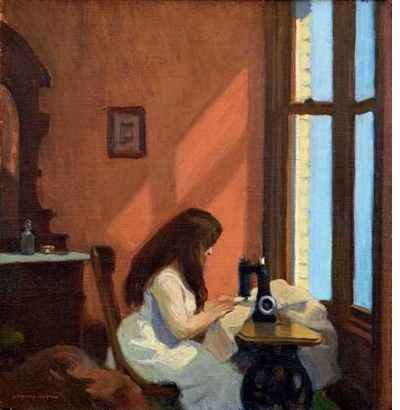 Hopper's subject matter is considered in depth, including many interpretations by positive and negative critics... 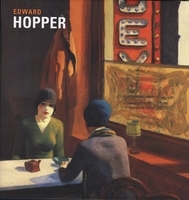 The volume's eight articles represent very perceptive writings about Hopper by various contributors. 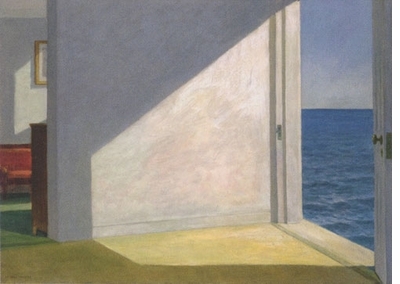 "…The fact that Hopper has continued to be appreciated for such a long time without his reputation diminishing in any way is an indication of the intrinsic grandeur of this artist. However, his isolation, which was a consequence of the fact that he so tenaciously resisted the erosion of history, is a sign that (as with great, solitary rocks) his work was made of a different substance to that of his surroundings. It is possible that art historians of the future, basing themselves, perhaps, on certain incompletely expressed intuitions hinted at by art historians of today, may be able to encounter other interpretations that come closer to that substance and thus embed themselves more firmly in the rock, with the result that it becomes less strange and abrupt in form and better integrated into the landscape of 20th-century art. It will, however, almost undoubtedly be a very different landscape to the one that we see now." - Tomás Llorens, excerpted from the chapter "Edward Hopper's Critical Fortunes," reproduced in Hopper. By Carter Foster, Carol Troyen, Sasha Nicholas, Luigi Sampietro, Demetrio Paparoni, Goffedro Fofi. Edited by Norbert Schmitz, Gabriel Ramin Schor. Text by Carter Foster, Gerald Matt. Text by Carol Troyen, Judith Barter, Elliot Davis. FORMAT: Hbk, 9.75 x 11.5 in. / 368 pgs / 345 color. Published by D.A.P./Réunion des Musées Nationaux - Grand Palais.